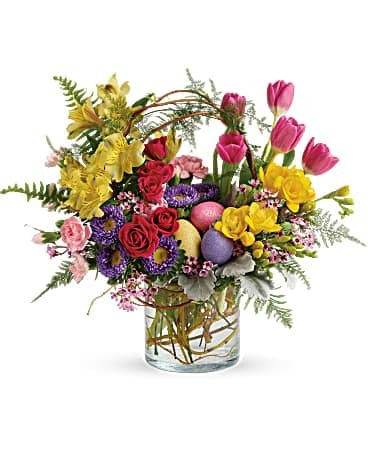 Spring positively pops with this whimsical bouquet! 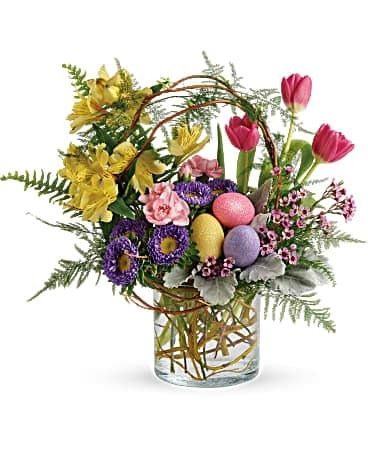 Bursting with color and fun, it features pretty pink tulips, sunshiny alstroemeria, purple asters, and don't forget the playful Easter eggs! Spring positively pops with this whimsical bouquet! 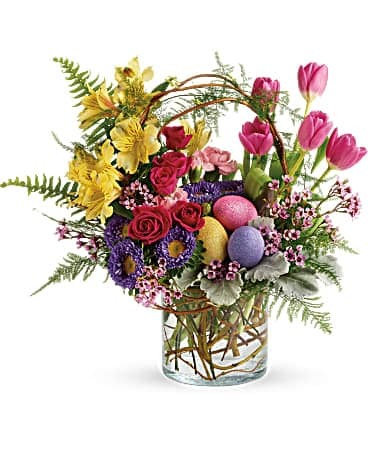 Bursting with color and fun, it features pretty pink roses and tulips, sunshiny alstroemeria, purple asters, and don't forget the playful Easter eggs!